The right professional cleaning by Freedom helps safeguard your carpet investment by keeping you from having to replace it before its time. Our method of professional carpet & upholstery cleaning is recommended by all major carpet manufacturers and provides the absolute best cleaning by loosening the harmful sticky and gritty soils and properly rinsing them right off your furnishings and into our mobile professional cleaning unit. For our up front prices click here. Professional cleaning can address moderate and heavy soil conditions in your carpets. How often you’ll need professional cleaning depends on soil build-up, traffic, type and color of carpeting. Carpet manufacturers along with the Carpet and Rug Institute recommend deep carpet cleanings every 12 – 18 months with normal soil rate. The best advice is to clean carpets before they become totally saturated with soil. Carpets can act like filters, trapping dust, dirt, animal hair, and other soils. If you wait until carpets look really dirty, the carpets may never be restored to their former appearance. 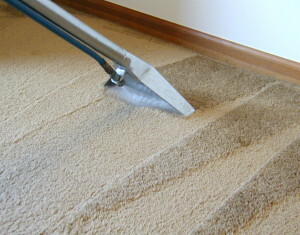 Dirt builds up in layers, and when a carpet looks dirty you are only seeing the dirt at the tips of the fibers. More dirt is hiding below the surface down near the base of the pile, causing damage to the carpet. When a carpet is saturated with dirt, the soil has penetrated crevices and has become firmly lodged. At Freedom our cleanings focus on pulling up the dirt within the fibers of the carpet with our commercial vacuums, which normal household vacuum cleaners cannot reach. All of our cleanings follow our 12 Check Point Cleaning Process. Freedom focus’s on keeping the stains out before they happen. Your carpets get a lot of use and spills are inevitable. Over time, the factory-applied stain resistant becomes less effective and fades away leaving your carpets susceptible to staining. Freedom’s Protectants refresh the performance of stain resistant carpets, creating a barrier around the carpet fibers to resist soiling and staining by allowing spills to be removed before staining can occur. Freedom Restoration and Cleaning Professionals will get the job done right. For a cleaning backed by state-of-the-art equipment, over 26 years of experience and Professionals trained to the highest standards, contact us today.